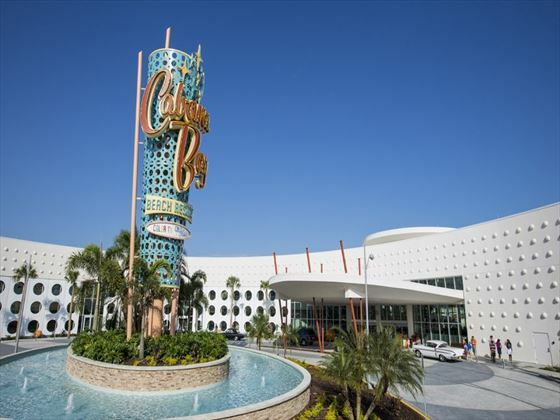 Take a step back in time to the iconic American beach resorts of the 50s and 60s – Universal's Cabana Bay Beach Resort offers classic décor with a contemporary twist. Begin your stay by settling into your room, decorated in a lively retro style. The food court is great for variety, offering a selection of all-American classics – picture juicy burgers, pizza, milkshakes and much more. The two zero-entry swimming pools that play host to their own golden beaches are the perfect spots for topping up your tan, or you can grab a beverage and relax by the lazy river. There’s a 10-lane bowling alley that the whole family will love, as well as a games room to keep youngsters entertained. If you want to keep fit during your stay, there’s also a fully equipped fitness centre. Top tip: There’s an on-site store which sells a range of Universal merchandise – great for gifts and souvenirs. Poolside Rooms (available from 1st July 2014) are as above but enjoy views of the lush foliage surrounding the expansive pool are. Courtyard Family Poolside Suites are as above but open up to the courtyard and pool area. Tower Family Suites are as above but located in the tower. Bayline Diner- Food court with a avriety of stations, including deli, pizza, burgers and salads. The Hideaway Bar & Grill- Pool bar serving refreshing frozen drinks, cocktails and snacks. Prices correct as at 6pm on 19 Apr 2019. Please call for final price. Prices are per person based on 2 adults & 2 children sharing. Other durations available - call for quote. Prices include flight and accommodation as stated below. Great value transfers or car hire packages with Dollar rent-a-car are available, please ask your Florida travel expert for more information. For the purposes of the prices above, children are assumed aged 11 and under. Teen prices also available. 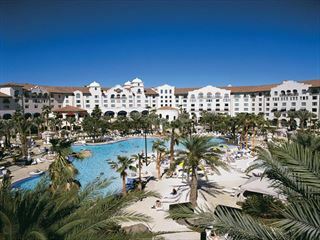 Special Offer The longer you stay, the more you save with Universal's stay more, save more promotion! 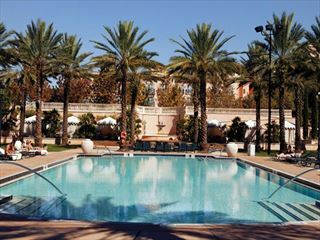 Stay 7 nights or longer and save up £400pp. Discounts included in advertised prices.